The southeast United States had Hurricane Matthew last weekend. Bermuda felt a devastating Hurricane Nicole on Thursday. Now, the northwest U.S. is about to get slammed with remnants of former Super Typhoon Songda. The Pacific Northwest is in line to get hit with a series of low pressure systems — including the former typhoon — bringing heavy rain, snow and strong winds to parts of northern California, Oregon and Washington. 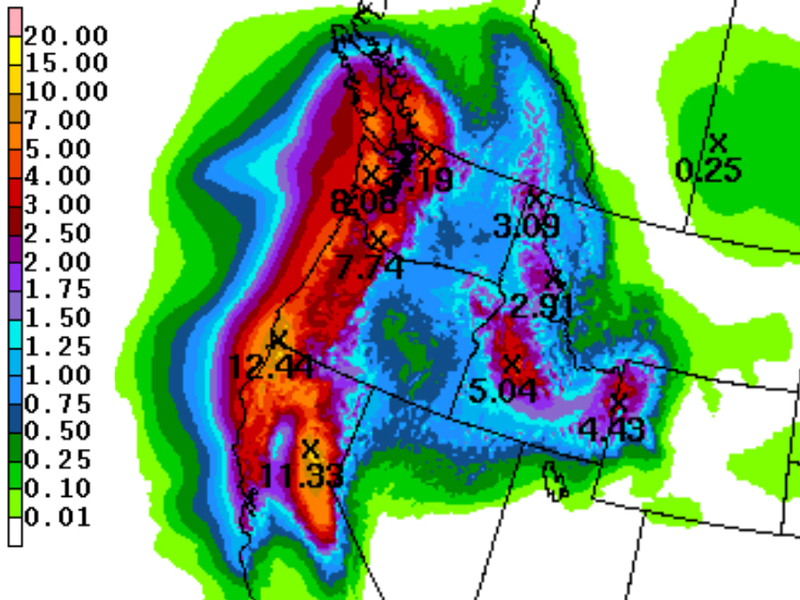 From Friday through the weekend, wave after wave of rain will pummel the Northwest. Rainfall totals over the next three days could add up to more than a foot in some spots, leading to flooding. In the higher elevations, all of this moisture will turn to snow, giving the mountains a fresh white coat. In addition to the heavy rain and snow, winds will be blowing, and some wind gusts along the coast could peak near 100 mph. The worst of these winds will likely arrive on Saturday with the arrival of the same storm system that curved away from Japan as a super typhoon. This pattern of storm after storm isn't likely to go away either. More rain from similar storm systems are set to continue into early next week.